Note: Case is a consignment based auction house, offering curated, cataloged auctions of fine art and antiques. We do not buy art and antiques. Rather, we work on our consignors’ behalf to sell paintings, jewelry, silver and other historical objects in the worldwide, upscale auction market. 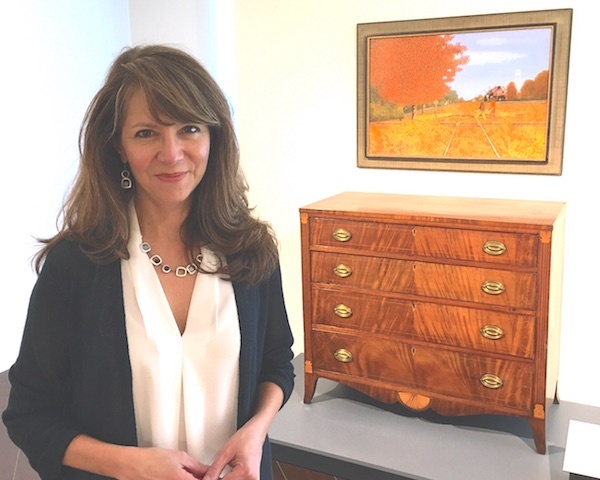 Sarah Campbell Drury, an accredited appraiser with more than 18 years experience in valuing and selling upscale art and antiques, directs Case’s office in Nashville. A graduate of David Lipscomb University in Nashville, Ms. Drury served museum, corporate and individual clients in a private appraisal practice before joining Case in 2008 as Vice President of Fine and Decorative Arts. She is an accredited member of the International Society of Appraisers and is trained, tested and current in the Uniform Standards of Professional Appraisal Practice, considered the gold standard for professional appraisers. She is available to meet with potential consignors and appraisal clients by appointment at Case’s office in the Hillsboro-Vanderbilt area of Nashville, or through home visits (email sarah@caseantiques.com to learn more). Ms. Drury has authored articles for The Magazine Antiques, Silver Magazine, The Maine Antiques Digest, and Antique Week Newspaper. She has been a featured speaker/appraiser for the Tennessee Historical Society, Nashville and Knoxville Public Television, Newschannel 5’s Talk of the Town, The Tennessee Decorative Arts Symposium at Belmont University, Traveller’s Rest Plantation, Rock Castle State Historic Site, and Two Rivers Mansion. She is also active in the Nashville community, having served on the boards of Senior Citizens Inc. (now FiftyForward) and her church, and as a volunteer for the Junior League of Nashville, Sierra Club Inner City Outings, Room in the Inn, Historic Nashville Inc., and Nashville Public Schools. Every day, we work with families, estate executors, trust officers, and even museums to help answer these questions. Our goal is to provide integrity, knowledge and solutions – and, when appropriate, discretion. 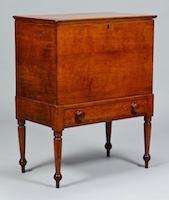 References from our many satisfied private clients are available on request, but Case’s reputation in the world of arts and antiques is well established. 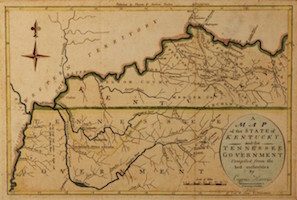 In 2007, Case held a single-owner auction in Nashville of the art and antiques from the historic Glen Leven Plantation. 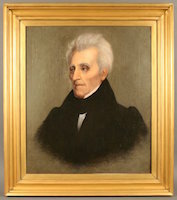 Other notable Nashville estates and collections have included the estate of Sarah Hunter Hicks Green (of Devon Farm Plantation), the estate of Margaret Lindsley Warden, and the estate of Dr. Benjamin Caldwell (2017). Case has also auctioned deaccessioned art and antiques for the Knoxville Museum of Art, the Memphis Brooks Museum of Art, Cheekwood, Belle Meade Plantation, and the Birmingham Museum of Art, and from prestigious private and corporate collections. Case’s catalogued live auctions are marketed worldwide via the internet, print and social media, and Case holds world art auction records for several artists and in a variety of collecting categories. 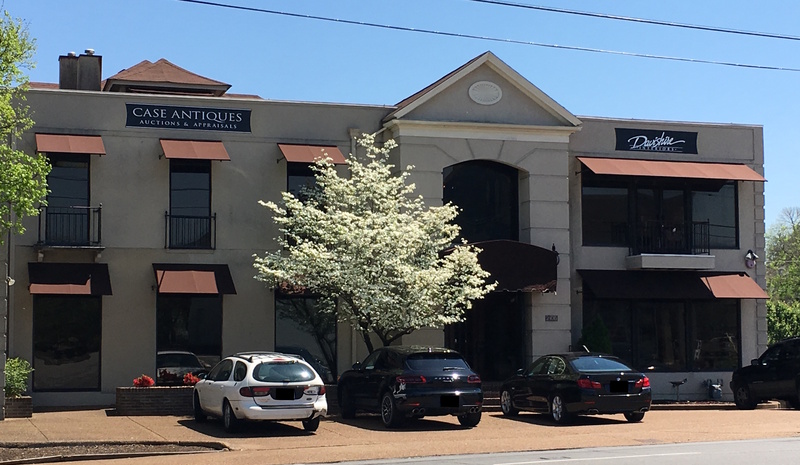 Our Nashville auction and appraisal office is located in the historic Vanderbilt-Hillsboro Village area, just off Interstate 440, at 2106 21st Avenue South, Suite #2, Nashville TN, 37212. We serve clients throughout Middle Tennessee, as well as in Memphis and West Tennessee, Southern Kentucky, and Northern Alabama including Huntsville and Birmingham. Office visits and site visits are available. Office hours are by appointment only. For information on how we can best serve you, contact us in Nashville at 615-812-6096 or sarah@caseantiques.com.